Dyanna Spa in NYC offers professional and affordable electrolysis treatments in Manhattan. Electrolysis is the treatment chosen for permanent hair removal. It works for both men and women, on any kind of hair, coarse or fine, any kind of hair color, and any skin type. It’s very versatile and can be used to remove hair from just about any part of the body. The most popular areas our clients request for this hair removal process include legs, eyebrows, ears, back, the bikini area, upper and lower lip, any part of the face, back, breasts, underarms, shoulders, chest and stomach. The treatment itself is not really painful at all. Although pain tolerance differs from person to person, most people report only a mild stinging sensation. The most common side effect is a little redness around the treated area that quickly disappears. The free consultations received before treatment will give you an idea of how many treatments you will need for permanent hair removal. The number of visits depends upon the area(s) you want treated, your skin type, and the texture of your hair. We use disposable needles $1.00! Electrolysis is safe and effective, especially under the care of our certified, professional electrologists who have years of experience. They only use disposal needles for the hair removal process, and give clear instructions on skin aftercare.Although it takes several sessions to achieve permanent hair removal, the results are well worth the relatively short amount of time each treatment takes. 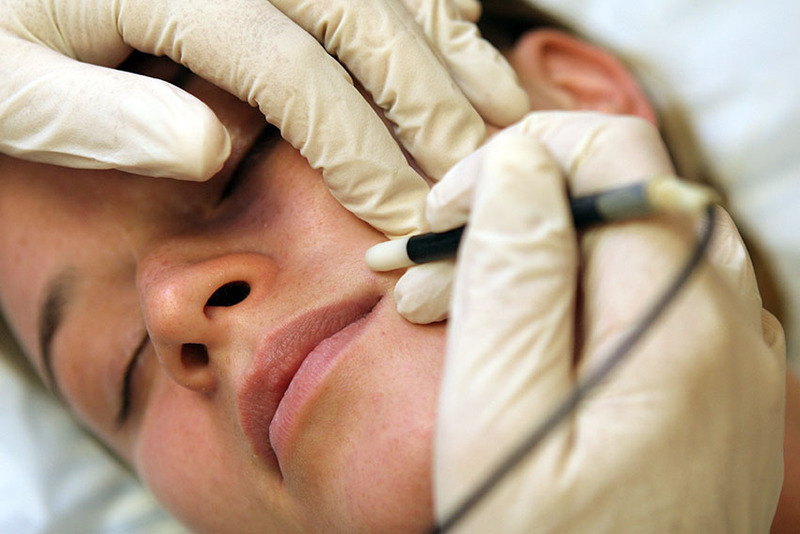 Schedule a consultation now to see how you can benefit from electrolysis. Enjoy the benefits of permanent hair removal through electrolysis at Dyanna Spa in Manhattan, NY. Our affordable electrolysis treatments are safe and effective.